Discover the mountainscapes of Switzerland, the ethereal beauty of Italy and Greece, the medieval delight of Croatia and the glittering seas of the Mediterranean aboard a luxury cruise ship leaving from the floating city of Venice. See the Scope of Europe’s Must-Sees Across Zurich, Milan, Rome, Florence and Venice! 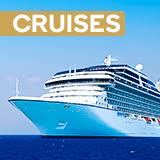 Set sail for European marvels aboard the magnificent Rhapsody of the Seas and relax in the adults-only Solarium. Enjoy a dip in one of the six whirlpools, four pools or eat up a storm at one of the fine-dining restaurants onboard. Get a prime-time seat on outdoor film nights, play the high-roller at the Vegas-style Casino or enjoy one of the complimentary Broadway shows. With so much to do onboard, including fitness classes and a rock climbing wall, you won’t know where to start! Be swept away by Europe’s most iconic spots including magnificent Swiss glaciers, ancient Italian architecture and whitewashed towns overlooking the glittering *Mediterranean” on this incredible 20 day dream tour! Fall in love with the lakeside charm and exceptional grandeur of Zurich, walking along the shores of Lake Interlaken to uncover stunning views of the Swiss Alps from Grindelwald. Get to know the Eternal City in Rome, admiring the breathtaking Sistine Chapel in the Vatican City before roaming around the awe-inspiring 2,000-year-old ruins of the Coliseum. Be enamoured by Florence, with breathtaking city views from the Piazzale Michelangelo, punctuated by one of the city’s two replicas of Michelangelo’s David. Discover Venice’s magnificent city on water by vaporetto, capped off with a visit to the stunning Plaza de San Marco and mosaic-clad Basilica, followed by a Murano glass blowing workshop. Bask in the sun as you cruise through glittering seas and experience true seaside hospitality aboard the Rhapsody of the Seas, making port in palatial Dubrovnik, Santorini and Kotor. 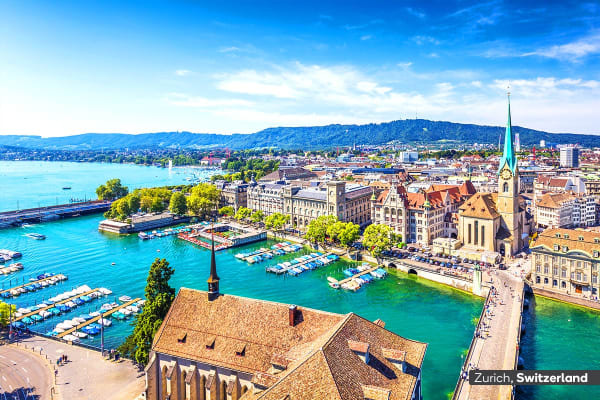 Pack your bags for a European adventure as you board your international flight to Zurich. Touchdown in Zurich! 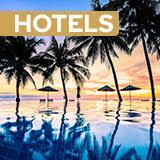 On arrival, you’ll be transferred to your hotel in the historic centre. Feel free to leave your bags at the concierge as you get your first taste of Switzerland, perhaps with some fondu and an authentic hot chocolate. In the evening, get amongst Zurich’s buzzing nightlife with a visit to Street Parade. Take a stroll through the city centre this morning, before enjoying a boat cruise along Lake Zurich to the picturesque town of Rapperswil, admiring small Swiss villages en route with a couple of stops on the way. Later, return to Zurich by train. Begin your day exploring the stunning glacial mountainscapes and crystalline lakes in Grindelwald, admiring Jungfrau from the city centre. Enjoy a stroll along Lake Interlaken, taking a coffee break in the Glacier Village before embarking up a cable car ride up to Grindelwald First, walking along the footbridge of the empty to admire the glacial scenery. Eat lunch in Grindelwald before continuing onto the stunning city of Lucerne then back to Zurich tonight. Visit the tiny village of Burglen – home to folklore icon William Tell. After, head to Lugano, the cosmopolitan capital of Italian Switzerland, centred around the stunning Lake Lugano. Stroll along the lake shores to reach the small town of Morcote before crossing the border into Italy, arriving in Milan. Upon arrival, roam around Duomo Square before spending the evening at the Porta Venezia where you can enjoy dinner at your leisure. Leave Milan behind this morning and head for Pisa. Travel through the impressive art square of the Piazza Dei Miracoli via tourist train before arriving at the iconic Leaning Tower of Pisa for a photo opportunity. Transfer to Rome for the afternoon. Rome baroque tour – visit the Pantheon, throw a coin in the Fontana di Trevi, explore the Lunagotevere, ascend the Trinidad de Los Montes and more, finishing at Piazza Navona (EUR €35 per person). Embark on a grand introduction tour of Rome – ‘The Eternal City’. Discover the Vatican City with plenty of free time to explore the breathtaking St. Peter’s Basilica and Michelangelo’s Sistine Chapel (own expense). Afterwards, visit the Coliseum before transferring to Via Cavour for dinner at your leisure. Vatican Museum – join an expert guide as you explore the Sistine Chapel and see the Vactian’s gallery of tapestries, sculptures and paintings (EUR €45 per person, approx. AUD $71). Admire Renaissance art in Florence today as you visit Piazzale Michelangelo, followed by a city tour. After lunch at your leisure, you’ll stroll through the historic centre past the iconic red-capped Duomo, see the ruins of the Palazzo Vecchio and breathtaking Pizza Della Signoria. Tuscan dinner – treat yourself with a traditional Tuscan feast, savouring local delicacies like bistecca fiorentina and enjoying live music (EUR €60 per person). Watch sublime mountain vistas unfurl before you as you cross the Apennine Mountains to Venice this morning. Upon arrival, enjoy the marble palace, lagoons and unbelievable grandeur from the water on a vaporetto (local water bus). Afterwards, you’ll be guided past the marble-clad Basilica di San Marco and Plaza de San Marcos, before a glass blowing demonstration at a Murano Glass Factory. Spend the remainder of the day at your leisure. Gondola – be serenaded as you cruise the iconic canals of Venice (EUR €34 per person). Take the opportunity today or tomorrow to rent a traditional gondola or visit one of the city’s many bacari – wine bars during happy hour to sample lavish spreads of cicheti – Venetian tapas, sarde in saor – sweet and sour sardines and sip on some prosecco bubbly. Spend the morning soaking in the dolce la vita this morning before transferring to the cruise terminal for your luxurious Rhapsody of the Seas cruise. Discover Dubrovnik’s splendid medieval barricades on your own today, you could embark on a walking tour of ‘Old Dubrovnik’, strolling past Rector’s Palace and the monumental Sponza Palace, or the splendour of Orlando’s Tower from under the City Bell Tower on Luza Square. 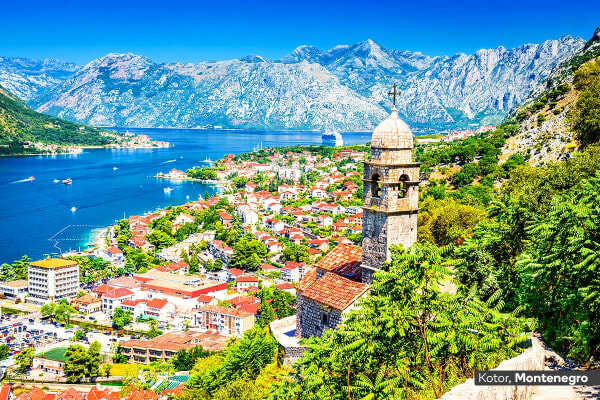 Located where the Balkans meet the Adriatic Sea, Kotor sits on a deep bay of soaring cliffs. Within its walled depths, you’ll be delighted by the plethora of small piazzas, elegant palazzos, lively cafes and shops. Kotor’s charm is best appreciated in Old Town, wandering through the magnificent Sea Gate into the main square, Trg od Oruzja. Whether you seek an adrenaline rush or total tranquillity, Rhapsody of the Seas has it all. Try rock climbing and experience whimsical aerial shows that take place high above onboard today. Melt away with a massage at the Vitality Spa or spend the day poolside. 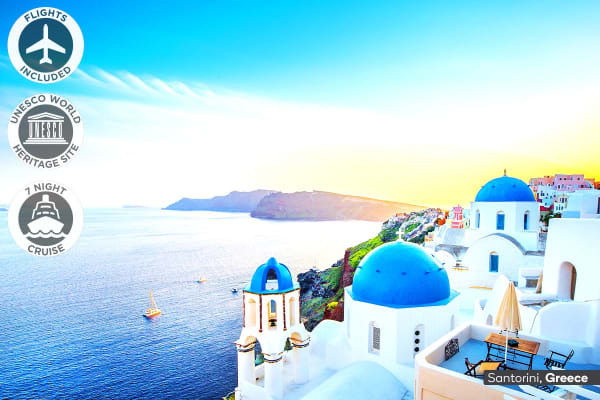 With enchanting deep blue bays, high cliffs, black and red sand beaches, and whitewashed towns perched on the crater rim, you’ll love exploring Santorini today. Katakolon is your gateway to ancient Olympia and the Olympic ruins today, including the nearby quadrangles, stadium-temples and treasuries. Explore at your leisure or stay beachside, drinking in the stunning Mediterranean views. Spend your last full day onboard the Rhapsody of the Seas soaking in all of the relaxation at the top deck pool. This carefree haven features high-end decor and an adults-only solarium with a glass-dome covering, so you’ll be able to retreat to tranquillity whatever the weather. Say Addio Rhapsody of the Seas and hello to Venice today, as you disembark your luxury cruise ship and transfer to the airport for your flight home to Australia.